Marketing is what we understand. Our clients have a huge impact to make. They know that digital programs and data clarity are critical to their success. They know they need an accountable digital partner to maximize their Marketing team’s contribution to business revenue. We’re that partner. We’re Enilon, and we are committed to driving revenue for our clients through strategic, cohesive and efficient digital programs backed by data. Using strategy and data to map holistic programs to drive results and provide meaningful insights. Dedicated to omni-channel delivery of programs to ensure every component stays connected. Continual testing and optimizations based on data analysis to drive performance. Founder and CEO of Enilon, Jeff is responsible for overseeing all agency business and financial operations. He guides the strategic vision of the agency – providing thought leadership, instilling interactive best practices, and ensuring client satisfaction and agency profitability. Jeff is no stranger to building a successful business. Prior to Enilon, Jeff was the co-founder of VirtuallyThere Inc., one of Dallas/Fort Worth’s first and most respected web development firms. 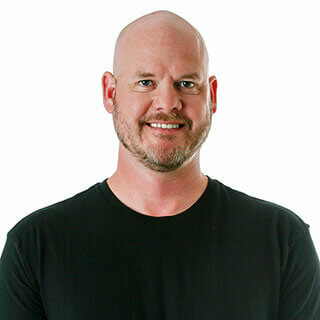 Under Jeff’s leadership and vision, VirtuallyThere grew from a three-person firm located above a garage to one of the metroplex’s most successful web development firms claiming such clients as Pier 1 Imports, American Airlines, Citigroup, Justin Brands and many more, both large and small. As Partner & EVP of Client Services, Claire is responsible for agency growth and client development. She leads agency business development and marketing, account strategy and planning, and oversees and supports our Account and Project Management departments. Having both agency and client-side experience, Claire understands the pressures on marketers to effectively navigate the digital landscape and deliver on results. Knowing this, she ensures agency solutions and digital programs are properly structured to produce accountable results on behalf of our clients. As Partner & COO of Enilon, Justin focuses on the company’s vision, strategy and operations. With an extensive background in digital strategy, design and technology, he’s cultivated deep, long-term partnerships with a wide variety of industry-leading brands such as Flexjet, THR, M&Ms, Olay, Exxon, IAMS, Subaru, Pfizer, Johnson & Johnson and GlaxoSmithKline. He’s committed to staying on the forefront of the latest trends and emerging technologies, and continuing to expand and evolve Enilon’s capabilities based on the changing needs of the industry and his passion for innovation. Jessica is Enilon’s lead project manager and understands how every detail of a project contributes to the overall success. Behind every successful project at Enilon, you will find her blueprint and dedication. With more than 7 years of interactive project management experience with brands such as Harley Davidson, Samsung, Pizza Hut, T-Mobile, and Pepsico, she understands how digital projects are organized and executed for true results. Jessica is responsible for managing digital projects from inception to completion, using project management best practices to execute projects on budget and on time. As Director of Client Partnerships, Kristin owns the client relationship while developing and leading multi-faceted digital strategies. As the client advocate, she works with accounts to define their goals, develop strategies to support those goals, create success metrics, and ultimately lead client service teams to execute exceptional service delivery. She has over ten years experience managing robust marketing plans across multiple channels – both agency and client-side. Her experience includes working with large and small B2B and B2C brands with budgets from four to eight figures. Bill is responsible for overseeing all of Enilon’s creative output. From art & copy to UX design, his 20 years of experience in these disciplines make him the ideal Director of Enilon’s Studio Group. Strategic thinking coupled with an eye for design, Bill understands how to conceptualize and deploy creative that is purpose-built for results in a digital world. His work prior to Enilon with large accounts such as McAfee, Gattis Pizza, National United, and Travelocity helps shape how he approaches design and development for our clients through a digital lens. Interested in joining our dynamic team? Click here to view our openings.